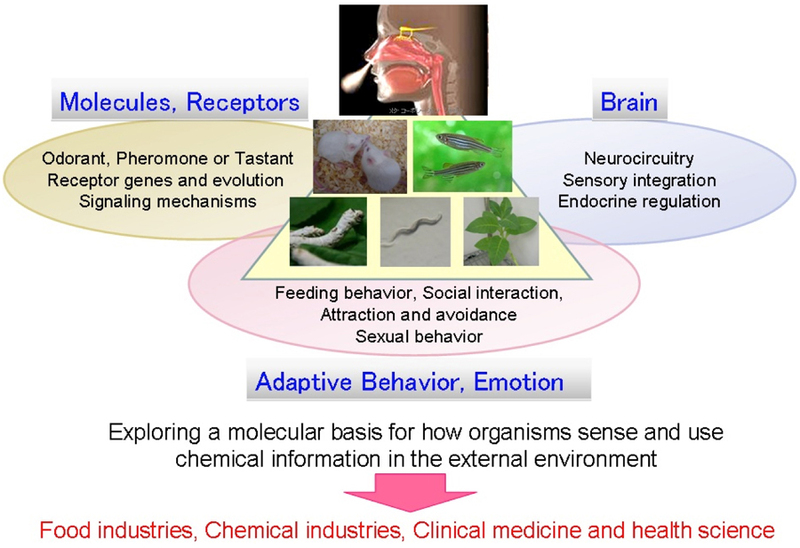 The chemosensory systems recognize odorants, pheromones, and taste substances in the external environment and play a crucial role in various behaviors in most organisms. In this study, we will elucidate a molecular and neural basis for how chemosensory inputs regulate desire or emotion as well as adaptive behaviors. The origin of chemosensory receptors will be explored by analyzing mechanisms of odor perception in various species. We will reveal physiological meaning for changes in body odors depending on a metabolic status or a disease. 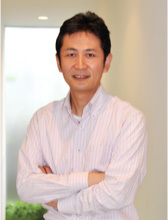 Also neuroendocrinological basis for changes in sensitivity of chemical senses will be investigated. We will identify odorants and pheromones emitted from living organisms that are important for social communications. For example, we will examine a possible role of pheromonal signals in human society. The findings from this project will provide innovative insights for healthcare industry which is beneficial for quality of life.